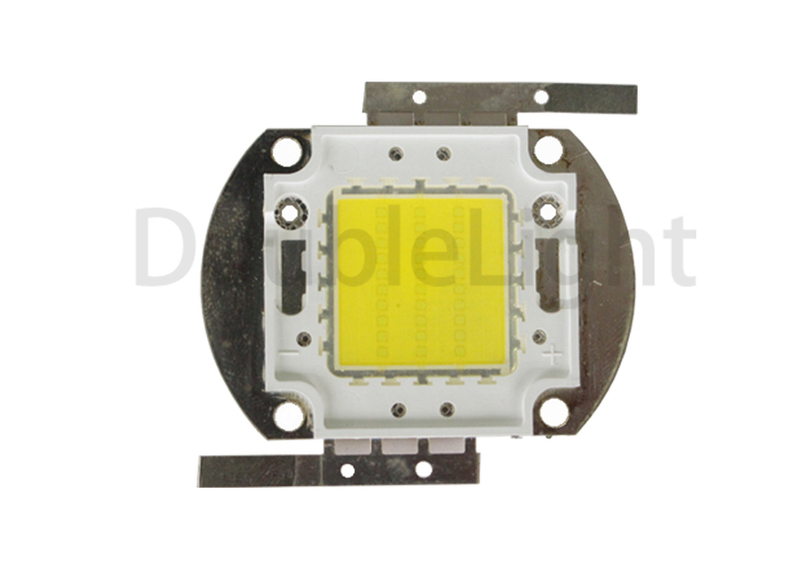 This is our 15W White High Power COB LED,We can also do COB products of other sizes and power according to your need. The LEDs should be kept at 30℃ or less and 70%RH or less. The LEDs should be used within a year. When storing the LEDs, moisture proof packaging with absorbent material (silica gel) is recommended. The LEDs should be kept at 30℃ or less and 60%RH or less. The LEDs should be soldered within 168 hours (7days) after opening the package. If unused LEDs remain, they should be stored in moisture proof packages, such as sealed containers with packages of moisture absorbent material (silica gel). Thermal design of the end product is of paramount importance. Please consider the heat generation of the LED when making the system design. The coefficient of temperature increase per input electric power is affected by the thermal resistance of the circuit board and density of LED placement on the board as well as other components. 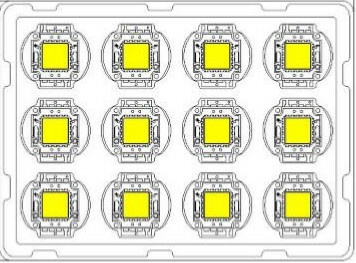 The operating current should be decided after considering the ambient maximum temperature of LEDs. It is recommended that ethanol alcohol be used as a solvent for cleaning the LED ’s. when using other solvents, it should be confirmed beforehand whether the solvents will dissolve the package and the resin or not. Freon solvents should not be used to clean the LEDs because of worldwide regulations. Static electricity or surge voltage damages the LEDs. It is recommended that a wrist band or an anti-electrostatic glove be used when handling the LEDs. All devices, equipments and machineries must be properly grounded. It is recommended that measures be taken against surge voltage to the equipment that mounts the LED’s .When inspecting the final products in which LEDs were assembled. It is recommended to check. Whether the assembled LEDs are damaged by static electricity or not. It is easy to find Static-damaged LED’s by a light –on test or a VF test at a lower current (below 20 mA is recommended). Damaged LEDs will show some unusual characteristics such as the leak current. Remarkably increases, the forward voltage becomes lower, or the LEDs do not light at the low Current.